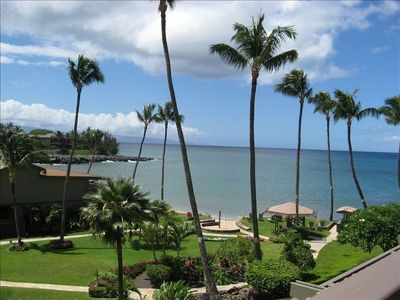 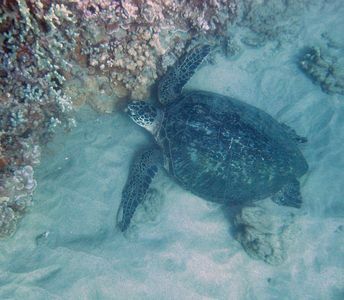 2 Bedroom West Maui Condo on Secluded Beach at Kahana Sunset! 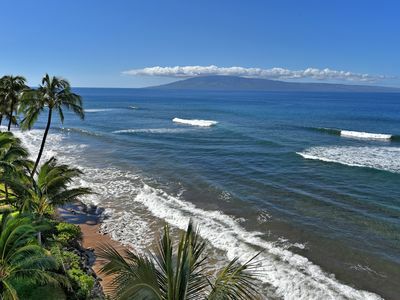 Come join us at the Kahana Sunset resort located on the world famous West coast of Maui hidden between the action packed Kaanapali resort and exclusive Kapalua. 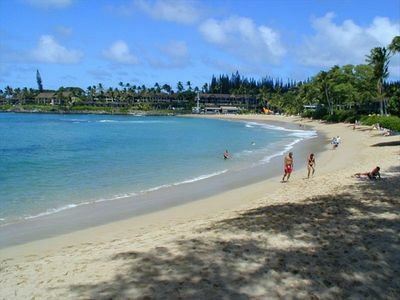 The Kahana Sunset is a beachfront property with only 72 units spread between 5 low-rise buildings. 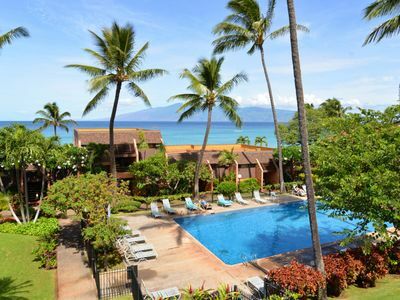 The resort fronts Maui's most exquisite white sand beach nestled on protected Keone Nui Bay with spectacular views of the sister islands of Molokai and Lanai. 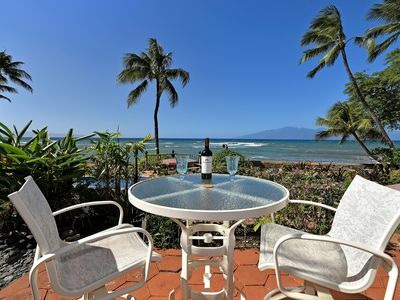 Our spacious (1100 square feet) ocean view home contains two bedrooms and two bathrooms on the upper level with a fully appointed kitchen (granite countertops & modern appliances), dining and living rooms on the lower level. 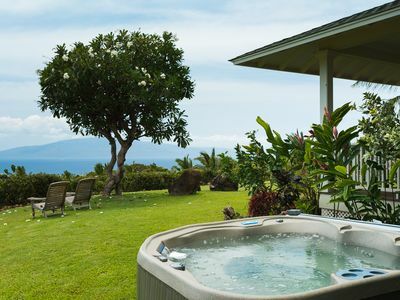 Additionally, there are two large, private lanais which further your outdoor experience and provide knock-out sunset views. 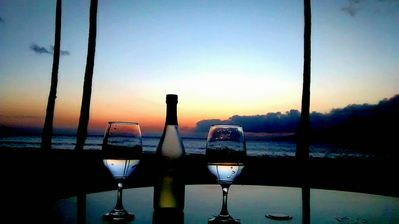 The Kahana Sunset is an intimate vacation experience where families can relax and recharge. 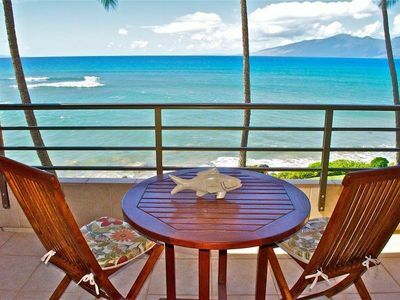 The Kahana Sunset is an intimate vacation experience where families can relax and recharge. 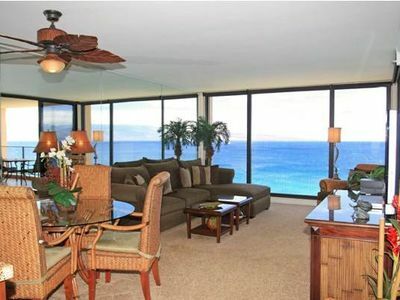 Our unit is so close to the ocean and the pool, everyone can partake in the activity of their choice and still feel close together. 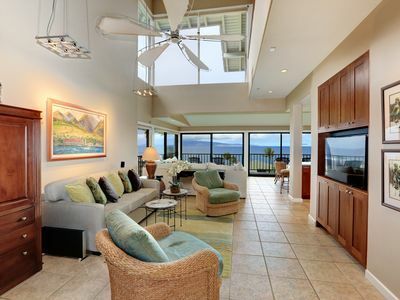 No wonder families who visit the Kahana Sunset come back year after year. 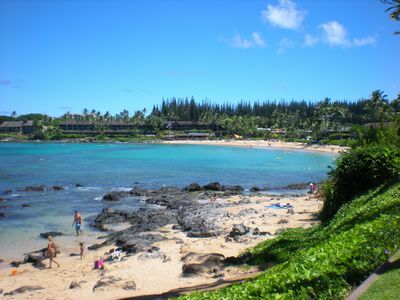 It's the spirit of ALOHA!! 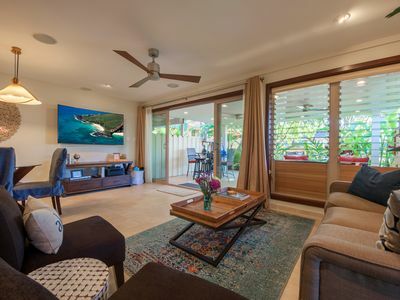 Newly remodeled Puamana Townhouse - just steps from the ocean!